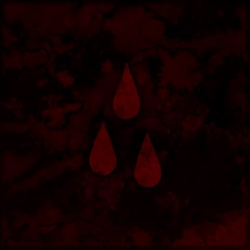 Seminal US alt-punks AFI will release their 10th album AFI (The Blood Album) on 20th January via Concord Records. Recorded at Megawatt Studios in Los Angeles, AFI (The Blood Album) was produced by Jade Puget and co-produced by Matt Hyde (Deftones) and is the follow-up to 2013’s Burials, which hit Top 10 on The Billboard 200. Since the release of 1995’s debut album Answer That and Stay Fashionable, AFI has written and recorded five top ten hit singles, hit No. 1 on The Billboard 200 (with the stunning Decemberunderground), garnered worldwide critical acclaim and amassed a fiercely loyal global following whose members number in the millions. For many this will be one of 2017s most anticipated albums, even if you’re not an AFI aficionado this is well worth checking out. AFI (The Blood Album) isn’t going to throw out any surprises, as the AFI sound goes this doesn’t stray from the template, but why fix what isn’t broken? As you’d expect the quality here is of the highest standard. The production is clean and on point, the guitars are full of gusto and power and hooks couldn’t be anymore succulent. Recent singles ‘Snow Cats’ and ‘White Offerings’ might well be the initial standout tracks but there isn’t a weak track, you genuinely have 14 great pop punk tracks. If you’re really looking for a grumble with AFI then you could say that they’ve been a little too mainstream orientated in the past, on AFI (The Blood Album) they’ve got the blend of accessible pop punk and raw punk guitars at the perfect point. It’s on fourth track ‘Hidden Knives’ that this becomes apparent and you start falling in love with the album. It’s almost a masterclass in accessible pop punk – the hooks are infectious, Davey Havock’s vocal is excellent and the guitars have just enough oomph. It’s the start of an excellent quartet of tracks with ‘Get Hurt’ having more of an indie-rock feel before ‘Above The Bridge’ takes lashings of goth/post punk tone. Then there’s wonderful ‘So Beneath You’ where the years are rolled back with defiant call-to-arms punk coming to the fore. That intro riff smacks of the 90s. You’ll find yourself singing along to ‘Snow Cats’ on the first listen it’s that infectious while ‘Dumb Kids’ revels in its simplicity and puts a beaming grin on your face. Lose yourself in the bass groove of ‘Pink Eyes’ and let the post-punk tones of ‘Feed from the Floor’ be another reason to fall in love with the album. ‘She Speaks the Language’ plays the part of a big stomping stadium emo punk song with aplomb weaving through infectious hooks to introspective quiet moments right back to the big hands in the air sing-along moments. ‘The Wind That Carries Me Away’ closes of the album with more of that typical sing-along emotive alt punk goodness. AFI (The Blood Album) might just be the first album of 2017 you properly fall in love with. The only surprise here will be the reminder of just how much missed / liked AFI. Wonderful stuff.